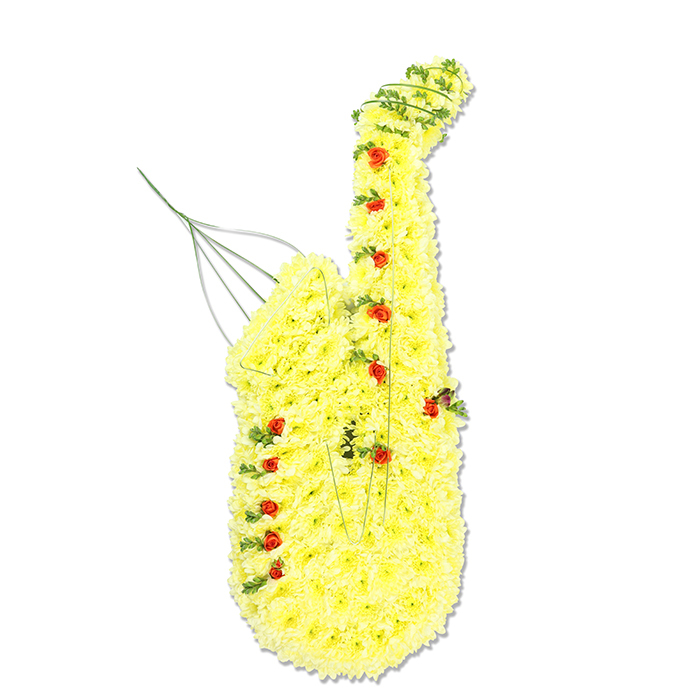 This thoughtful personalized tribute will bring along the melody of a blessed holy gospel. 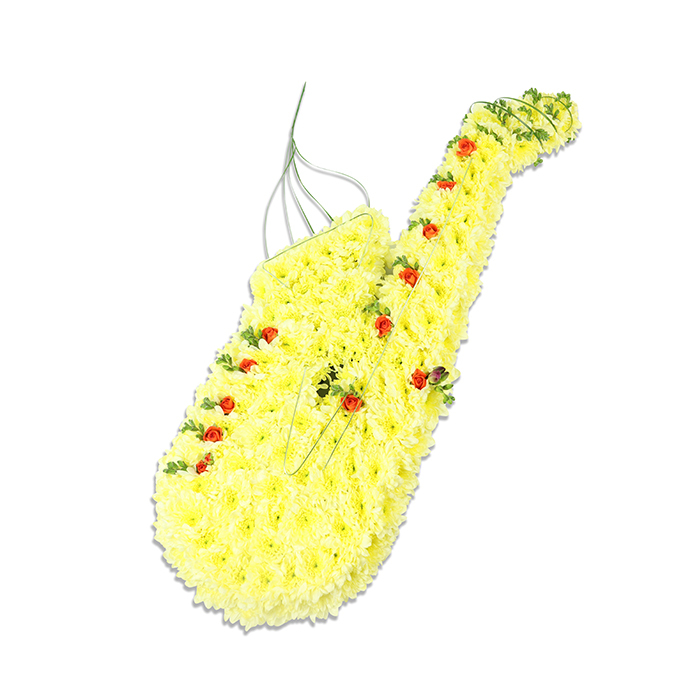 It is carefully arranged using the freshest yellow chrysanthemums and accent flowers including delicate spray roses. Our ex band member would`ve appreciate this. Looked exactly flawless. Uncle Ben would definitely love this, very professionally designed. Thank you for the timely flower delivery and wonderful tribute.